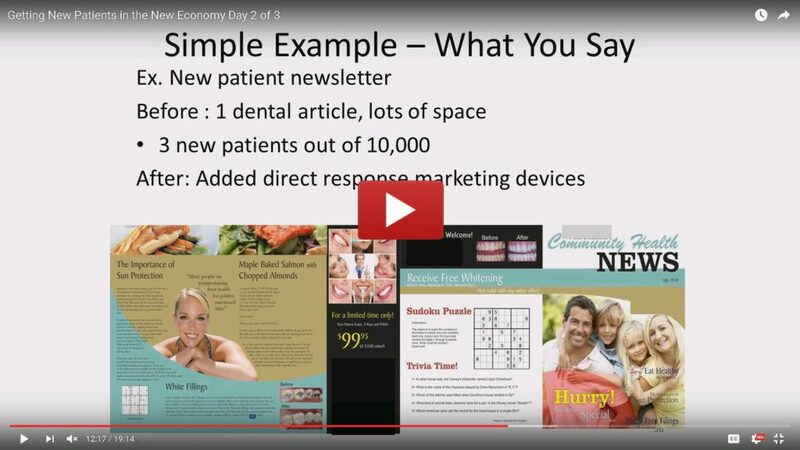 The 4 Top Ways to Get New Patients on the Internet | New Patient Systems Inc. Generating new patient calls is so easy with Google Adwords. You can get calls coming in right away. Don’t listen to others that say it doesn’t work. Here’s why: They don’t know how to make it work. You need a proper landing page, optimized keywords, and have your settings configured properly. Done properly, you can start receiving calls within an hour. After Adwords is Yahoo/Bing search. Not quite as good as Adwords because MS/Yahoo don’t know how to get search results as relevant as Google but it’s in 2nd place. 3rd place is Facebook advertising. This works, but it has to be a social campaign directed to specific offers. Make sure your business page is SOCIALLY oriented (not commercial) and shows how awesome you and your staff (awesome = relatable). It’s not a child’s game and it’s not easy. When managed properly by someone who knows what they are doing can generate for you 5-10 new recall patients plus a few implant, ortho and other cases per month. In the old days (a couple of years ago), search engine optimization of your website was all the rage. Now Google has pushed your website down to the bottom in favour of “local search”. This is your Google+ Local page (used to be Google Places). Google has become a directory now. Get in to the top positions of the local search for “dentist <your city>” keywords and you will get 10x the traffic than you used to. There are several factors involved in doing this type of work. Just because you are top in the local search, doesn’t guarantee you calls. If Joe Blow Dental office has 15 reviews and you have none (or negative) then they will get all the new patient calls. A prospective new patient will see both you and your competitors office listed and they will spend their time calling the one with the better ratings. Google also rewards offices with lots of good, non spam reviews. Having things happening all the time, showing people that you have a professional but friendly staff that isn’t afraid to communicate with people on a human level (not corporate). Remember, you cannot force feed dental education down people’s throats. They don’t want to hear it ALL the time. In general, you should aim for 70% non-dental content (social, family stuff is fine) and 30% dental education. Write jokes, recipes, games, etc. to keep people coming back to your page. Start by setting up your Facebook account, Twitter and Youtube.